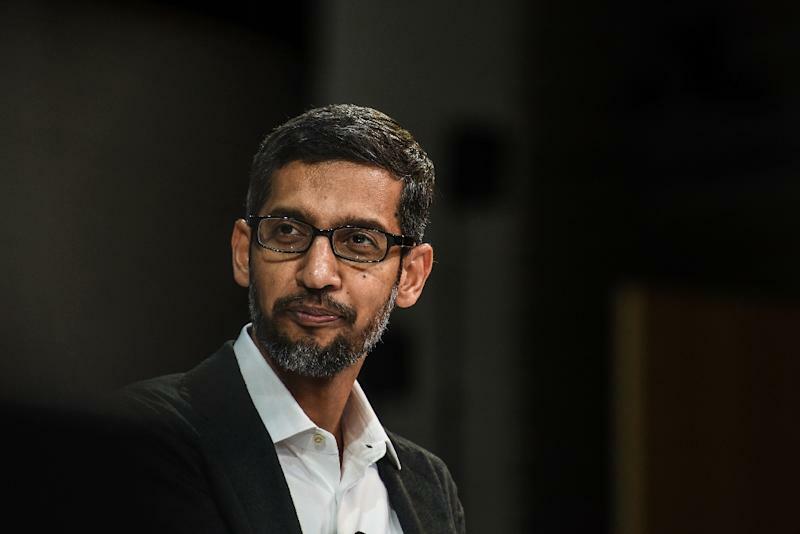 Washington (AFP) - Google chief executive Sundar Pichai will testify at a congressional hearing next week where he will be questioned on "transparency" and "filtering practices" used by the internet search giant, lawmakers said Wednesday. The House Judiciary Committee hearing follows complaints by President Donald Trump and some lawmakers of "bias" by internet firms and unsubstantiated claims of suppression of conservative voices. Pichai declined to appear at a Senate hearing in September on online foreign influence campaigns, prompting lawmakers to leave a "Google" sign in an empty seat reserved for the company. The House panel said in a statement that next week's hearing "will examine potential bias and the need for greater transparency regarding the filtering practices" of Google. Committee chair Bob Goodlatte, a Virginia Republican, said the hearing would look at how internet firms may "suppress particular viewpoints and manipulate public opinion." "Americans put their trust in big tech companies to honor freedom of speech and champion open dialogue, and it is Congress' responsibility to the American people to make sure these tech giants are transparent and accountable in their practices," Goodlatte said in a statement. House majority leader Kevin McCarthy repeated claims that Google, which accounts for nearly 90 percent of worldwide search traffic, may be biased in how it presents search results. "Recent reports suggest Google might not be wielding its vast power impartially," McCarthy said in the statement announcing the hearing. "Its business practices may have been affected by political bias. Additionally, reports claim the company is compromising its core principles by complying with repressive censorship mandates from China." But technology and media analysts say there is little evidence to suggest Google skews results for political reasons. And if they did, the government would have little recourse under the constitution's free speech protections. Google has also faced pressure -- including a petition signed by hundreds of its employees -- to shut down its efforts to create a search engine that could be acceptable to Chinese filtering, a project the company says is in very early stages.